Gold investment accounts are alternative investment options for individuals wishing to invest in the market price of gold without taking physical possession of the metal. Your gold account could be allocated meaning that you will have a specified number of bars or/and coins with recorded serial numbers under your name or unallocated gold generally stating that you own a certain number of gold ounces without incurring any storage fees as with the first instance. Generally, the allocated option is considered a safer alternative to the latter. Below we have listed several possible options for you to consider. Everbank Precious Metals Select accounts offer a gold bullion investment option with allocated bullion that is very competitive when it comes to costs, and offers many advantages over some other account providers. The initial deposit amount is smaller, and the company has made a reputation as one of the top ten in this sector. Newcastlepermanent.com offers a gold investment account with flexible interest options and the choice of either allocated or unallocated gold holdings. An IRA gold investment account is another option with this company. One of the best places to open a gold investment account is BullionVault.com. This company has been around for many years, and is known for its integrity. You can even get a free gram of gold credited to your account just for opening it. RTFX.com offers gold investing accounts for clients. This company does do a thorough screening before your account is opened though, and if there are any significant changes in your answers then the company must be alerted. One of the stricter account providers, but still a top ten. The Perth Mint is a well known name in gold bullion market, as well as other gold options. One of these options is an investment account for this precious metal, and you can be sure you are getting a competitive price and secure storage for the metal you are investing in. Dillon Gage is an investment group which offers the option of precious metals accounts, and they are one of the top ten places for a number of reasons. 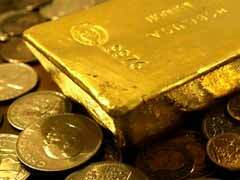 You also have access to gold stocks and other investments with this precious metal as well. No matter what your investment preferences are, whether you are looking for gold mutual funds or want to open an investment account, this is one of the best places to do it. Kitco is one of the leaders in the precious metals markets, and they offer investment accounts and many other choices for precious metals investing. You can also find stocks, bonds, mutual funds, and even gold futures with this company. Gold Investments Limited is in the UK, but you do not have to be from this country to open a gold investment account. This company has been in operation since 1981, and is well known around the globe. Goldmoney.com is one of the leaders when it comes to this opton. Your investment is fully secured and insured, and this company has been in business since 2001 and has built a reputation as one of the top companies in this area.